What Is the AKG P170? Conclusion: Will You Be Happy with the AKG P170? AKG is known for producing products that are technological breakthroughs. By producing the first high-quality condenser mic in the world as well as the first remote-controlled multi-pattern capacitor mic in the world, they were able to make a name for themselves and go down in history. Never one to rest on the success of past products, AKG continually pushes the boundaries of what is possible and what has been done before. 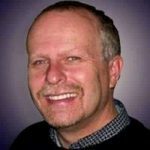 This means that they are one of the most driven companies on the market today and are known for producing high-quality equipment such as the P170. The AKG P170 is a member of the Perception series of microphones released by AKG. These microphones are designed to be lower in price than other microphones offered by AKG but without any sacrifice of quality. They are designed in Vienna but are currently built in China, which helps to cut costs. The AKG P170 is a true-capacitor, small-diaphragm cardioid mic. It’s generally used as an overhead mic for recording purposes. Thanks to the high-quality build of this microphone as well as the lower price, it’s a good choice for many musicians, although spending a little more money will often result in purchasing a higher-quality microphone that is a bit more accurate. This microphone is designed for general-purpose studio uses. It has a fairly flat response curve and is very conventional. There are a few peaks and dips in the response curve, which can make the microphone sound a little open at the top but not honky or harsh. Because the AKG P170 does a great job recording percussion as well as acoustic instruments, it’s a good overall microphone to have in a home studio. 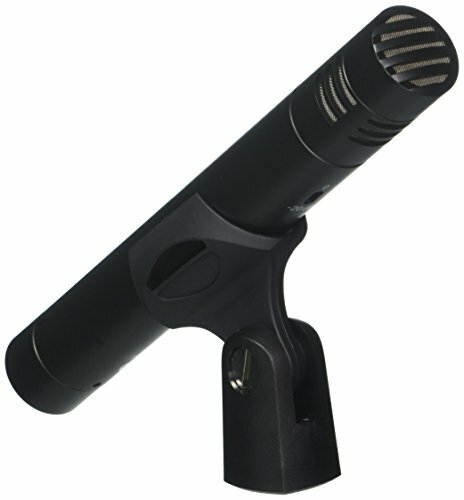 It’s not great for use in a live situation due to how sensitive it is and the fact that it is a smaller directional mic. The lower price tag of the AKG P170 makes it very appealing to new musicians who are setting up a studio and don’t have a lot of extra money in their budget. More advanced musicians, however, will likely want to consider a more powerful and thus more expensive microphone. While the AKG P170 is a great all-around microphone and is a good choice for a lot of musicians, it may not offer all of the power and control that more advanced users demand from their equipment. 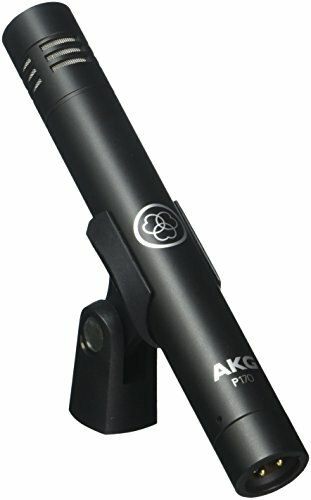 The AKG P170 ships by itself, which means that musicians need to have on hand all of the cables that they are going to use to connect this microphone in their studios. Because it won’t run on batteries, it can only be used in locations with phantom power, which limits where and how you can set it up. This microphone does a great job recording instruments but is not ideal for recording vocals, which can be frustrating for some musicians who are looking for a dual-purpose microphone. The cardioid polar pattern of the AKG P170 is perfect for picking up one instrument without a lot of coloring and background noise. This is ideal in recording situations where the user wants to record a single source but doesn’t want to deal with any ambient noise. While the polar pattern of the P170 can’t be switched, it does have a strong and reliable cardioid pattern that is designed for excellence. The P170 has very minimal distortion. It does a great job reproducing without a lot of distortion up to sound pressure levels of 155 dB and is designed to resist problems with humidity and higher temperatures. Musicians looking for more power will want to consider the Shure SM81-LC. This is a cardioid condenser microphone that is great for broadcasting, sound reinforcement, and studio recording. Thanks to its low noise, wide frequency response, and low RF susceptibility, it’s known for being one of the best microphones for use with cymbals, guitar, piano, and other acoustic instruments. It’s a great choice for more advanced users thanks to the power and sound control it offers. Another great alternative is the CAD GXL2200BP. This is another cardioid condenser mic but ships in a bundle, which is great for beginners who don’t have any equipment on hand to set up their new microphone and are in need of not only the mic but also a boom arm, filter, cables, and cleaning supplies. Because this microphone ships in a bundle, it is an ideal purchase for any beginner looking to purchase everything that he or she needs at once. The AKG P170 is a great option for any musician who is looking to set up a home studio and needs a small, reliable microphone that he or she can use. It offers great sound control and recording in small settings but is not ideal for use in larger studios and for live work. Thanks to the lower price tag, this microphone is very popular with musicians who are just setting up their studios and are in the market for a durable, reliable piece of equipment. If you are looking for an overhead mic to use in your home studio, then you will likely be very happy with the way that the AKG P170 works and the sound quality that it will provide you. However, if you are in the market for a microphone that can go from studio to stage and will give more professional results, then you may want to pass on this microphone for now. It’s perfect for musicians setting up a home studio on a budget and will definitely meet the needs of beginners and intermediate musicians but professionals are likely to be frustrated with the quality of this equipment.